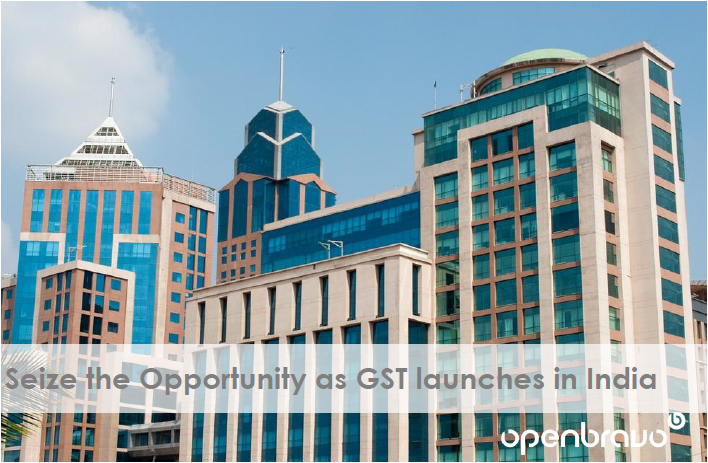 Learn how Openbravo helps retailers unlock the financial benefits of India's GST. We at Openbravo are delighted to now announce that our software is now fully compliant with the GST requirements, and so we are ideally positioned to help retailers embrace the opportunities. .On July 1, India ushered in the most significant tax reform in its 70-year history by rolling out the Goods and Service Tax (GST). The new fiscal measures will fundamentally change the way Indian businesses and, in particular, retailers work by impacting many functional areas, including pricing, supply chain management, IT, tax, and accounting. This presentation outlines the impact of GST on Indian business and how Openbravo, by making your systems and processes GST-compliant, allows you to focus on the business opportunities that GST represents. Learn about the work that remains to be done in the coming weeks as returns filing goes online and as processes are tuned based on customer feedback. We will also cover Openbravo plans for subsequent releases and welcome feedback from users on specific issues or additional requirements they would like implemented. If you wish to watch the full webinar which accompanies this presentation, please visit http://www.openbravo.com/resources/webinars/?commid=270205.